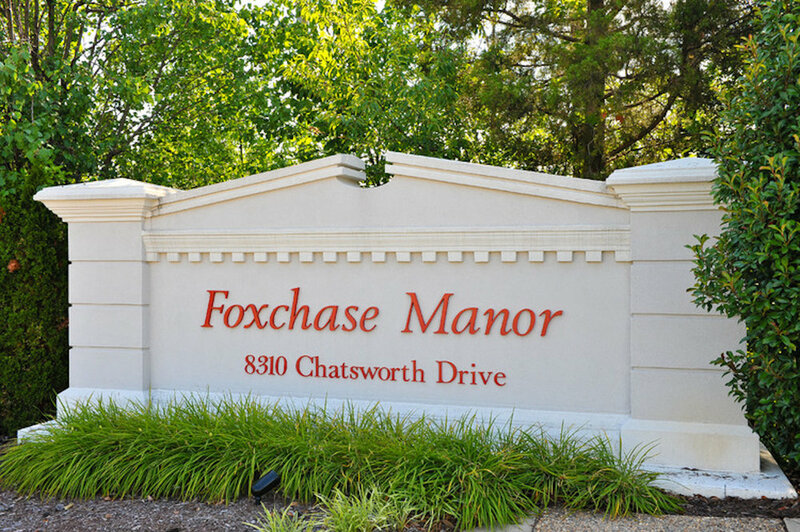 Foxchase Manor features enchanting chandeliers and graceful wall sconces. 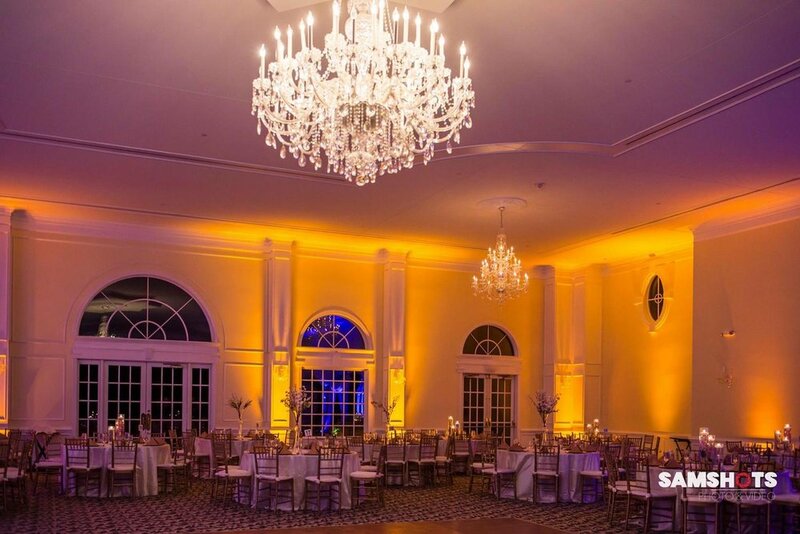 The classic design of the manor is accented by three porticos and features Greek Ionic columns throughout. 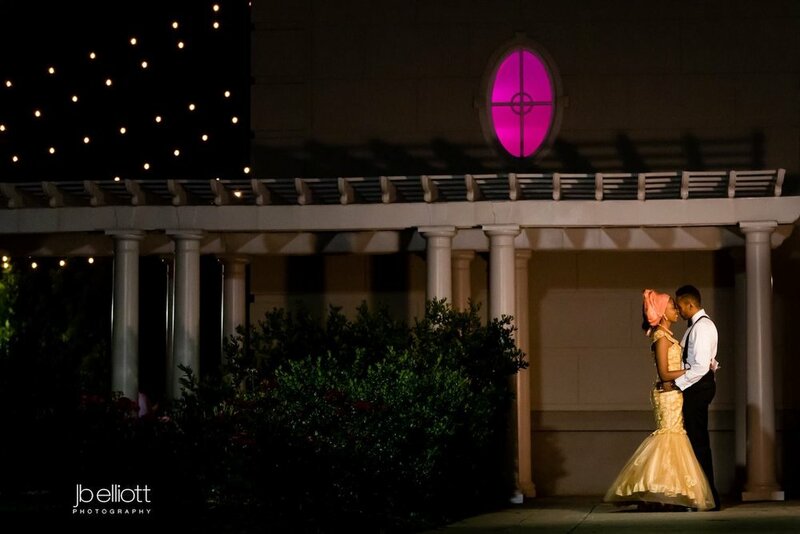 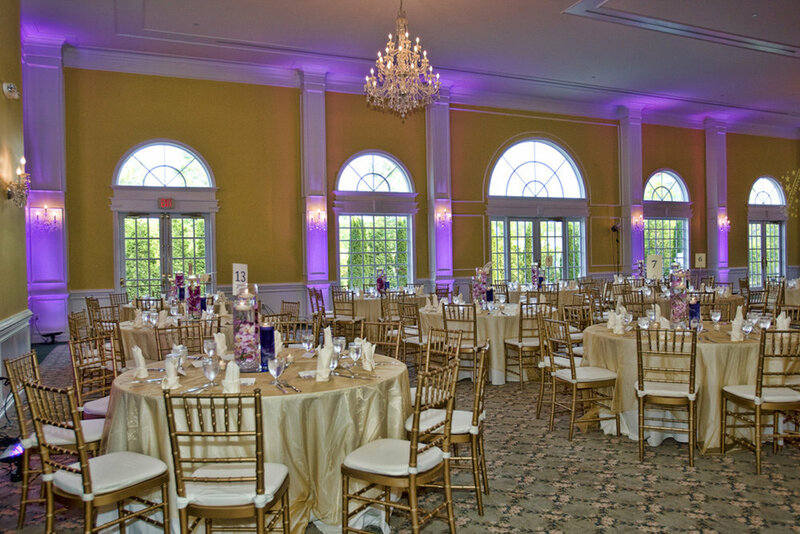 The Grand Ballroom features magnificent 45 candle chandeliers, large windows, and tall 18’ ceilings. 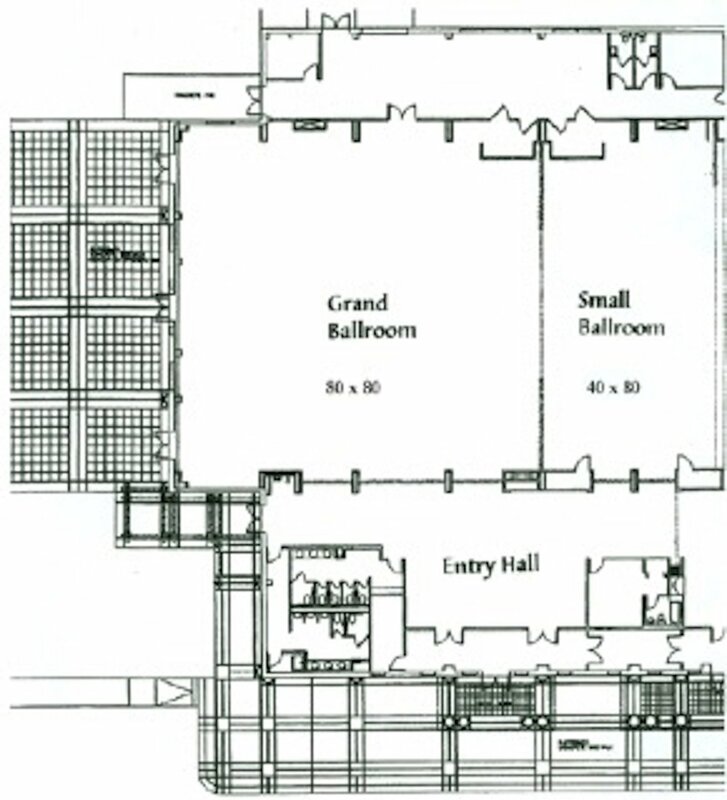 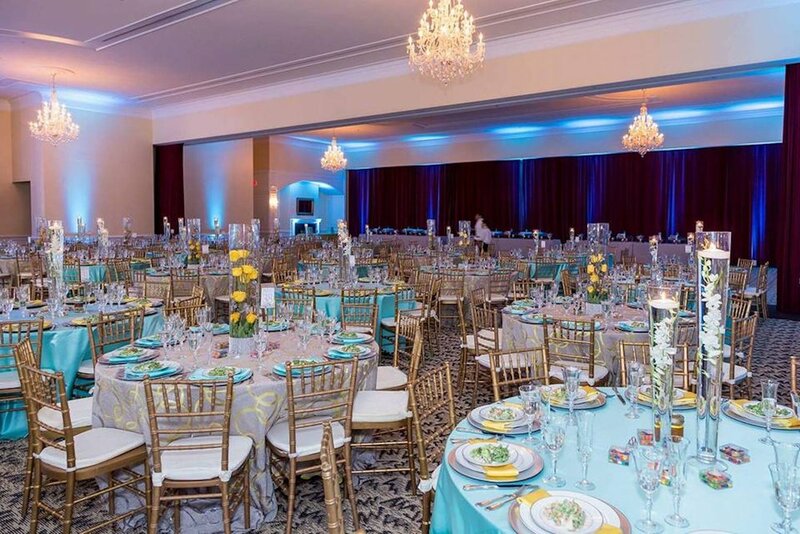 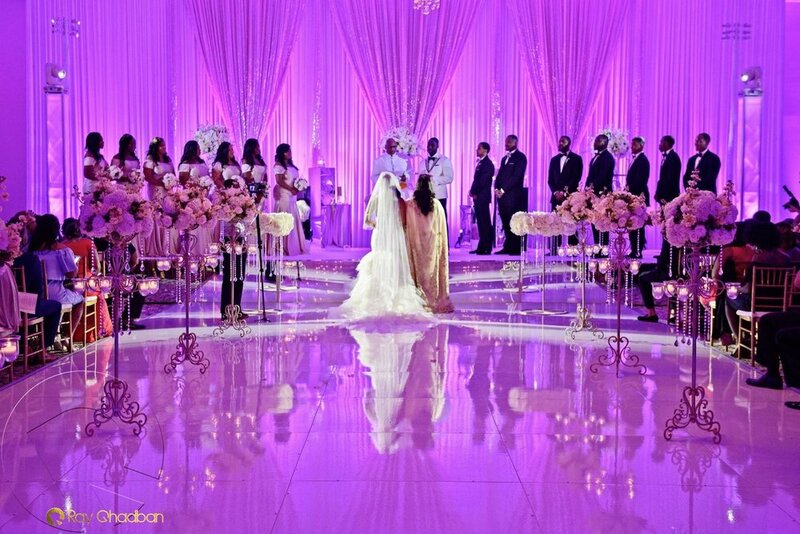 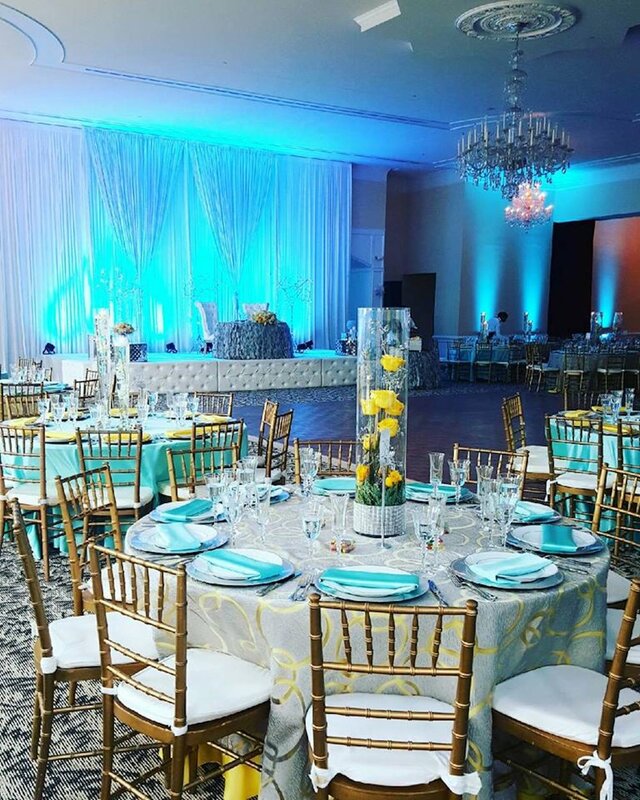 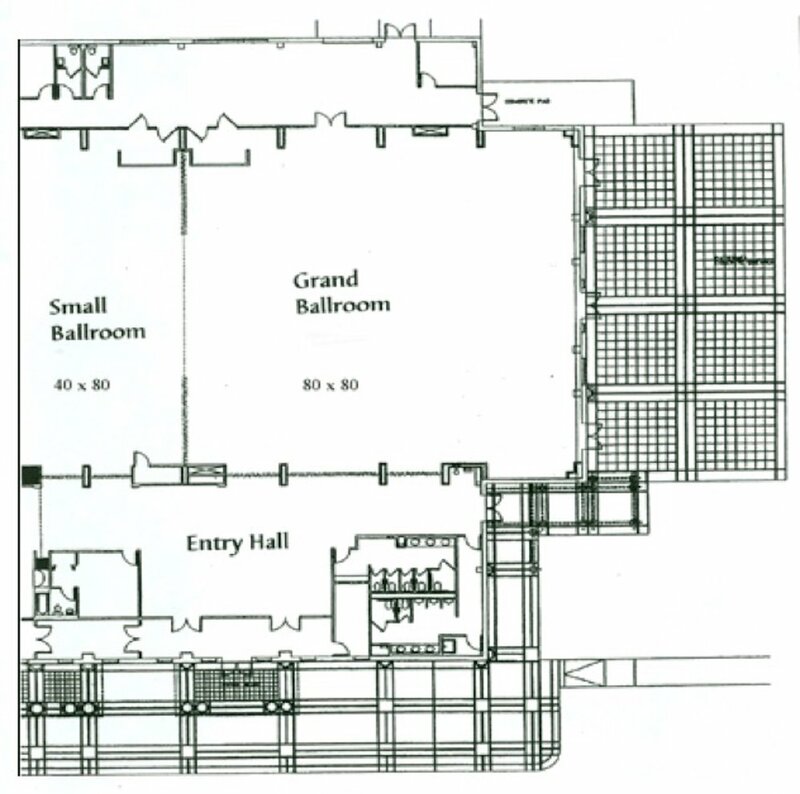 This spacious Grand Ballroom can accommodate over 500 seated guests with a full band and large dance floor. 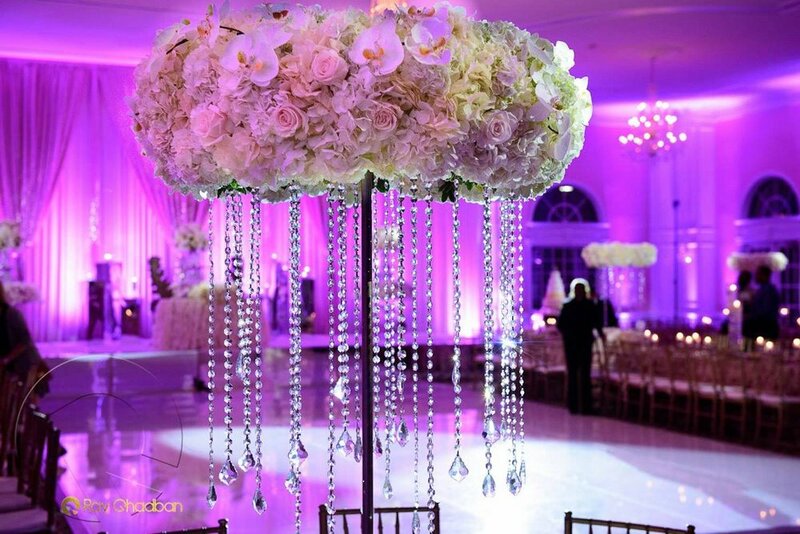 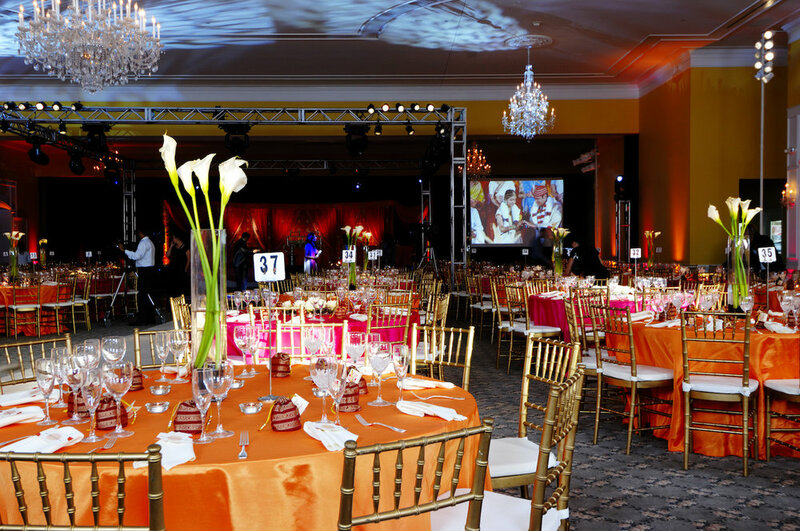 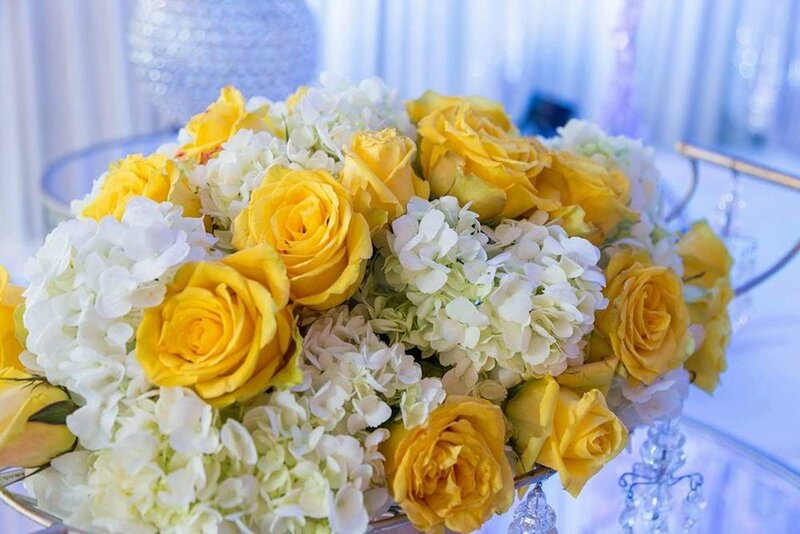 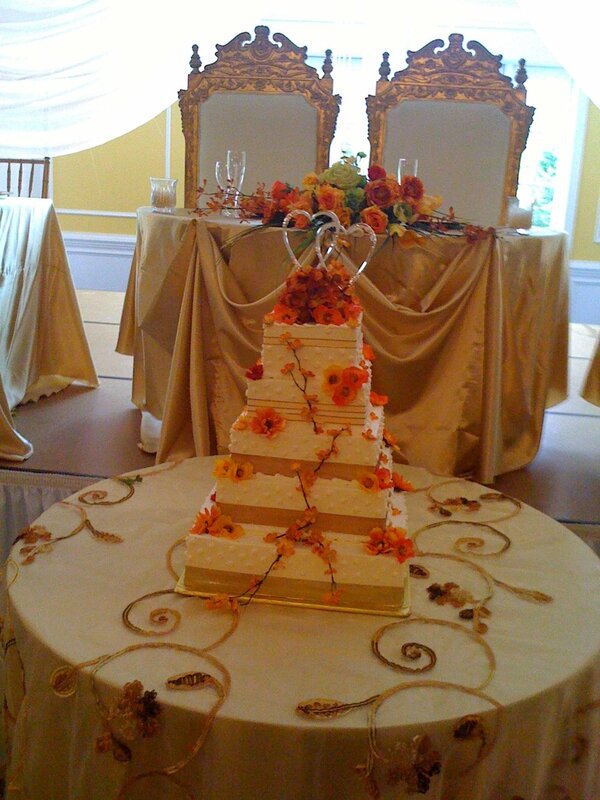 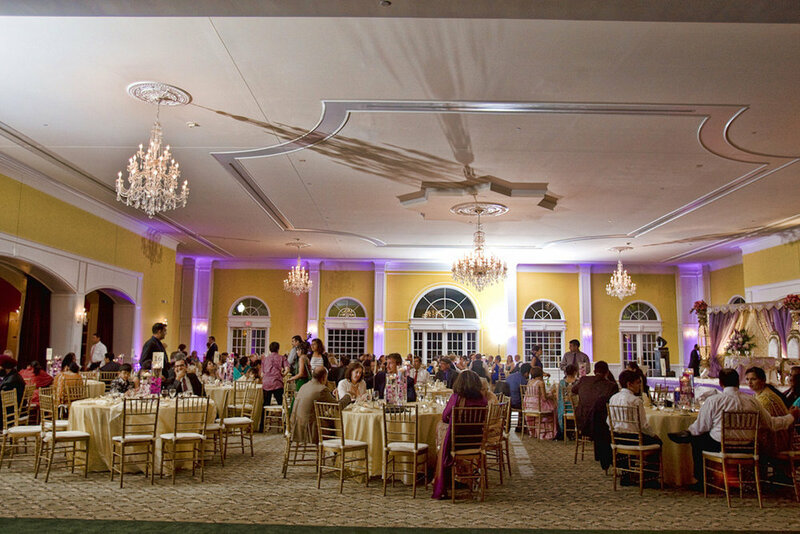 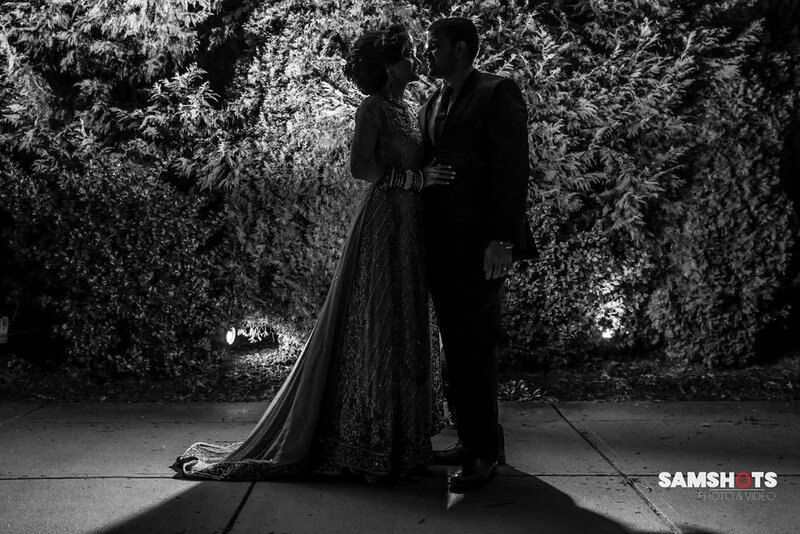 The Small Ballroom features 25 candle chandeliers and can accommodate over 250 guests for a seated affair. 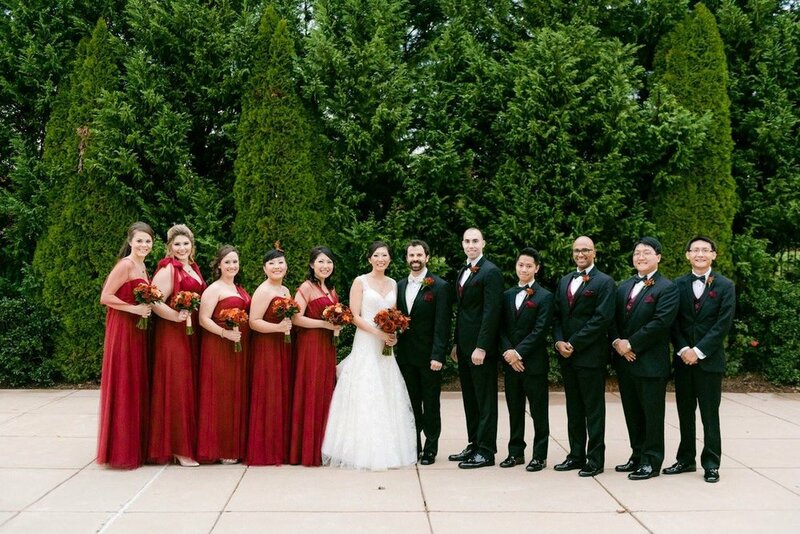 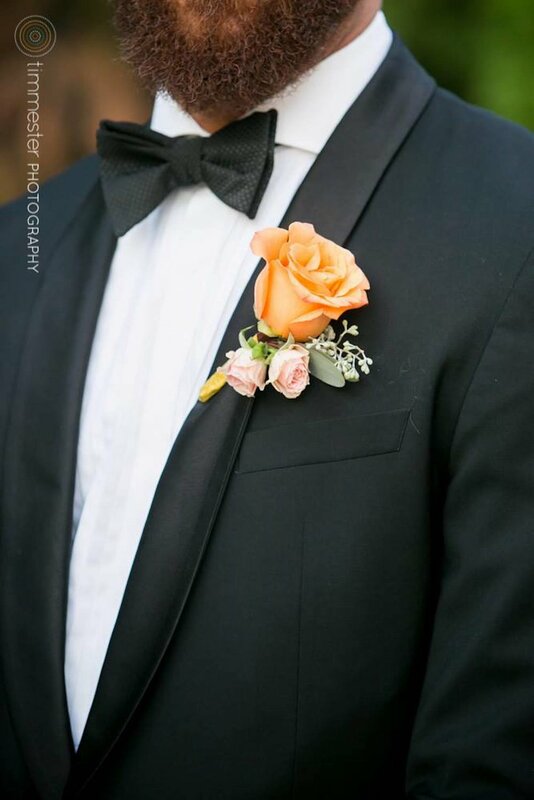 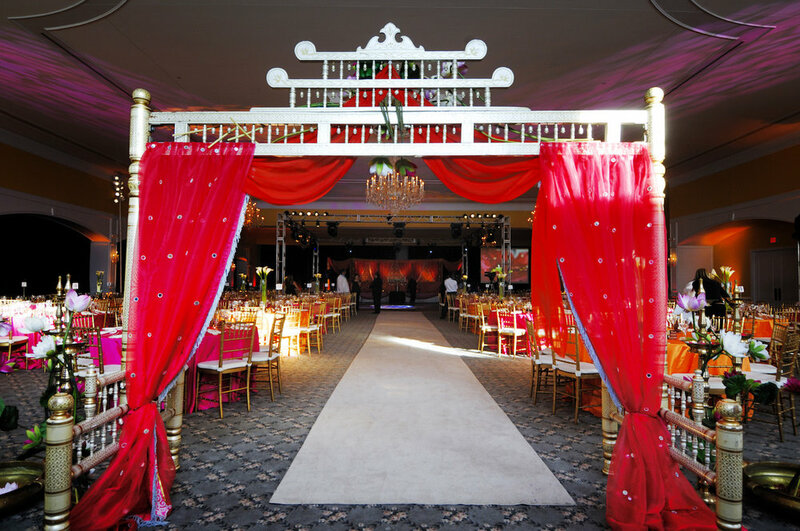 It can also be used to accommodate over 400 guests theater-style or for a stand up reception. 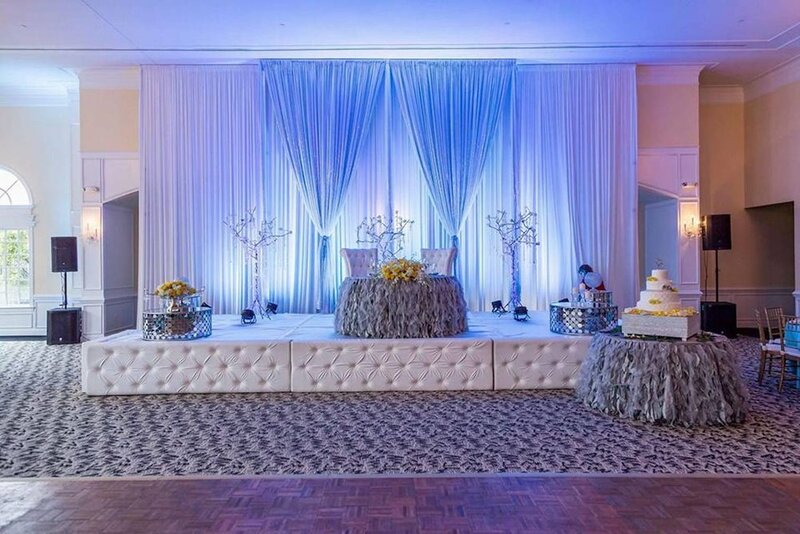 The Entrance Hall serves to compliment the ballrooms as the perfect place for cocktails with rich Italian Marble floors. 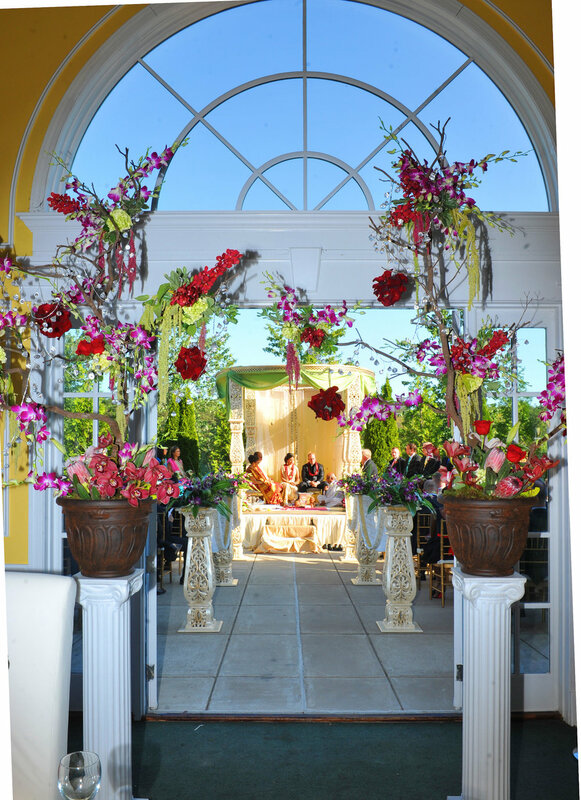 The 40'X80' landscaped Patio provides an intimate outdoor space with a view of the majestic side facade.